Couple weeks ago I was contacted by the Oasap.com , they gave me opportunity to pick out anything from the Oasap.com and be their fashion blogger. I immediately look through their online store, because I didn't wanted to jump in this adventure without knowing more about it. I was glad that I could find wonderful pieces which suits my style and one of them caught my eye - Chic Short Pleated Leopard Skirt. In my wardrobe I have just a few skirts, because I'm very particular about my skirts or maybe I'm just not skirt kind a girl, but I always wanted full, short skirt. And when I saw these skirt's I was sold instantly, I wasn't even scared of print, it just looked gorgeous. Shipping was quick and for Free worldwide, as the Oasap.com promised. I have to admit that there was some problems with size, I contacted with Oasap.com about it, they corrected problem and added to description my remark on that skirts has hidden pockets which for me is just fabulous detail. This leopard print skirt will be timeless piece which I could dress up as this time with lace top, pearls jewelry and classic knee high booties or dress down with T-shirt, leather jacket and flats or cool booties. Hope you had a wonderful weekend and have great week! I love it!!!! Cheetah and leopard prints are my fav!!! So jealous btw of your opportunity, congrats! excellent photos as well great outfit ! Ramona, you look great in that lovely skirt! Love your sunglasses!!!! lace x leopard!!! wildly elegant! You look stunning in that skirt Ramona! I believe that hidden pockets in skirts, and dresses are an amazing detail! Beautiful outfit!! Love the skirt! It's free shipping worldwide and they are just for $30 or €22.65 and if you new, sign up to get 25% coupon. I think itš great deal. Skirt quality is great. Super cute look! Your skirt is fab! You are such a lucky girl and I'm lovin'that leopard skirt. What a wonderful surprise!!! looove your top, is sooo cute, so girly and chic! That skirt is to die for!! And i love the sweater! I think I need another leo print item in my closet! i have just discovered your blog. Your blog is interesting, adorable! Look fashionable and i like your style... also love the blouse. You look great! Love the skirt!! I'm following you, and it would be great if you'll follow me as well. 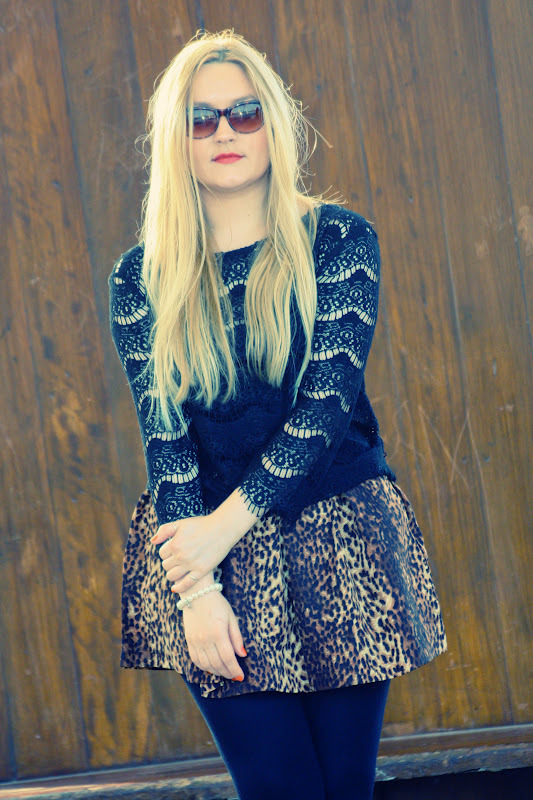 Love your picks..the leopard print skirt is gorgeous! You look great :) I love this outfit!! 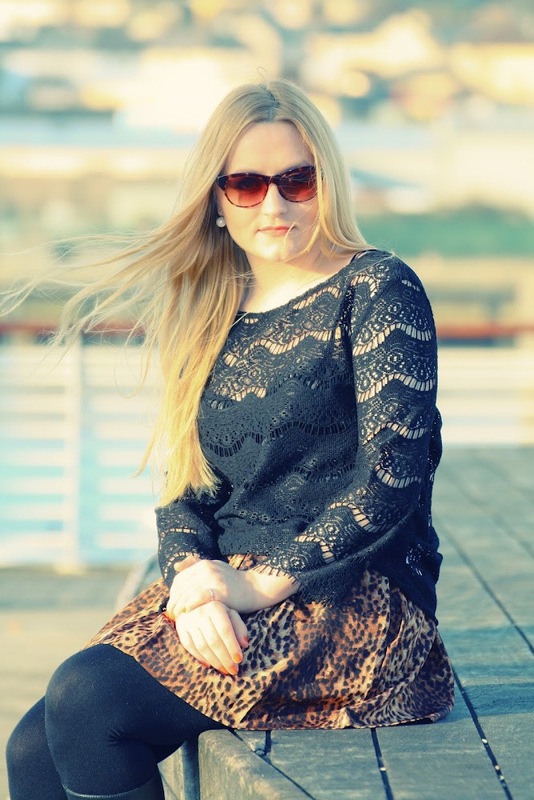 this is a super nice blog and i love your style! 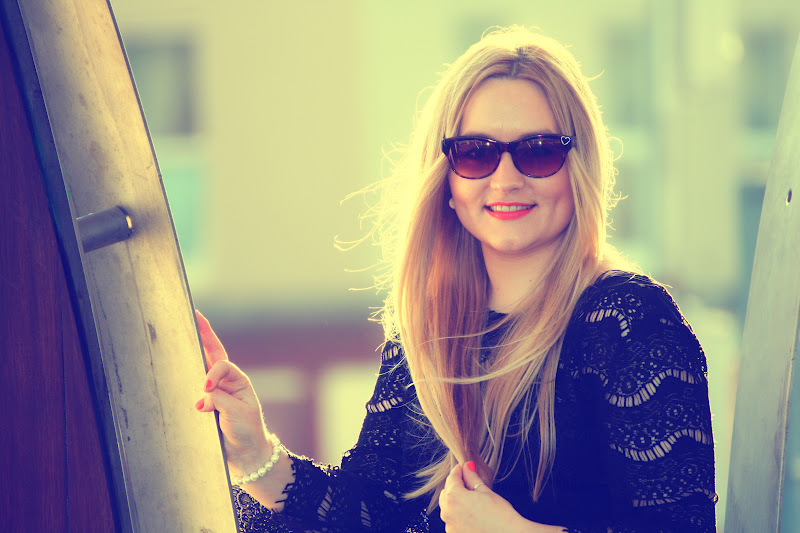 following you now - i´d love if you check out my blog! Gorgeous outfit! It looks great on you. Yay I'm your 300th follower!! Your top is absolutely gorgeous !! The skirt looks lovely on you! I love skirts that have hidden pockets.. it makes them so much more fun & convenient to wear! Really like the leopard with all black. How exciting and you picked so well, I love the skirt and you styled it perfectly. Great job and a great outfit post. I haven't purchased from oasap before but will have to give them a try. You wrote a great shop review! Fantastic blog. I'm now your 303rd FOLLOWER! The leopard print is so pretty, I love how you wore it! This is such a great outfit :) now following. I love that skirt on you, especially mixed with the texture of the lace top! So pretty! ..animal print really suit you , not everyone can wear it , but you definitely can , it looks so beautiful on you , I love the shape as well ..